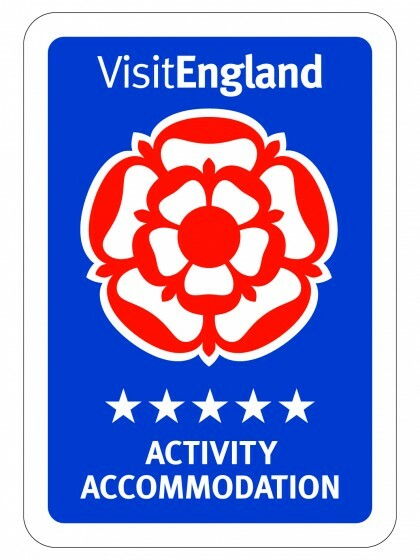 Calvert Trust Exmoor are very pleased to have once again been accredited as 5 stars by Visit England, continuing to be the only 5-star accredited activity accommodation in England. Similar to the way hotels are awarded 1 to 5 stars, Calvert Trust Exmoor keeps its 5-star status after an inspection from Visit England in April 2019. We were judged on our accommodation, dining and food facilities, cleanliness and how we provide activities for our guests. We were able to demonstrate that we provide holidays and adventure activities to the highest of standards. We are extremely pleased to have continued this accolade, it’s a great reflection on all the hard work the fantastic team perform every day. The centre continues to lead the way in activity holidays for all, acting as a destination that caters for all needs. Our CEO Mike Gray adds: “We thank Visit England for their visit. As a charity that strives to give our guests the very best and life-changing stays, it is a pleasure to have such a recognised national tourism agency visit us and once again acknowledge the high standard of work we do. Based at Wistlandpound Reservoir in North Devon, we enable people with physical, learning, behavioural and sensory disabilities to experience exciting, challenging and enjoyable outdoor activities. Fully inclusive stays enable guests of all ages and levels of abilities to enjoy personalised activities such as horse riding, canoeing, zip-lining, archery and abseiling. At Calvert Trust Exmoor, it’s what you can do that counts. If you’d like more information on what the centre in North Devon provides, visit our What We Do page.